Your view of the world may not yet include a community in rural western Kenya where children often walk barefoot for miles to schools that offer little more than desks, a blackboard, and a teacher who lacks resources necessary to enable students to succeed academically. 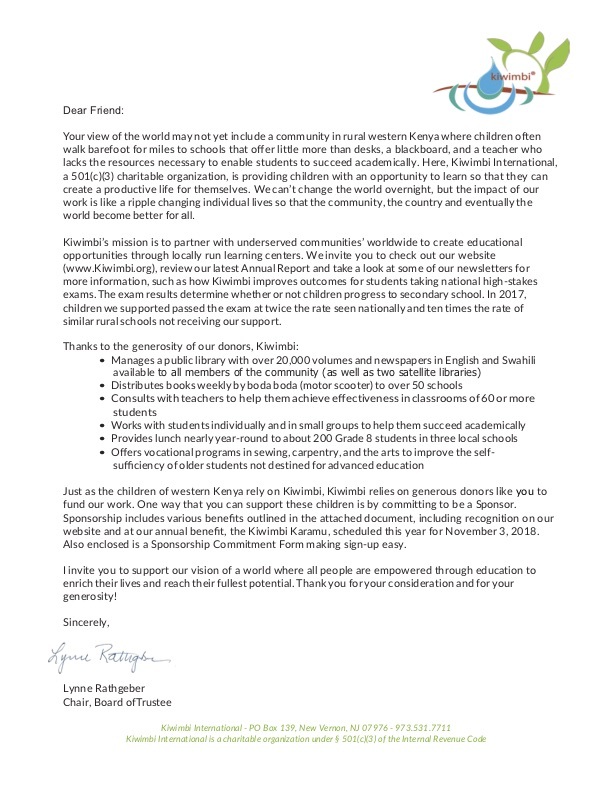 Here, Kiwimbi International, a 501(c)(3) charitable organization, is providing children with an opportunity to learn so that they can create a productive life for themselves. We can’t change the world overnight, but the impact of our work is like a ripple changing individual lives so that the community, the country and eventually the world become better for all. 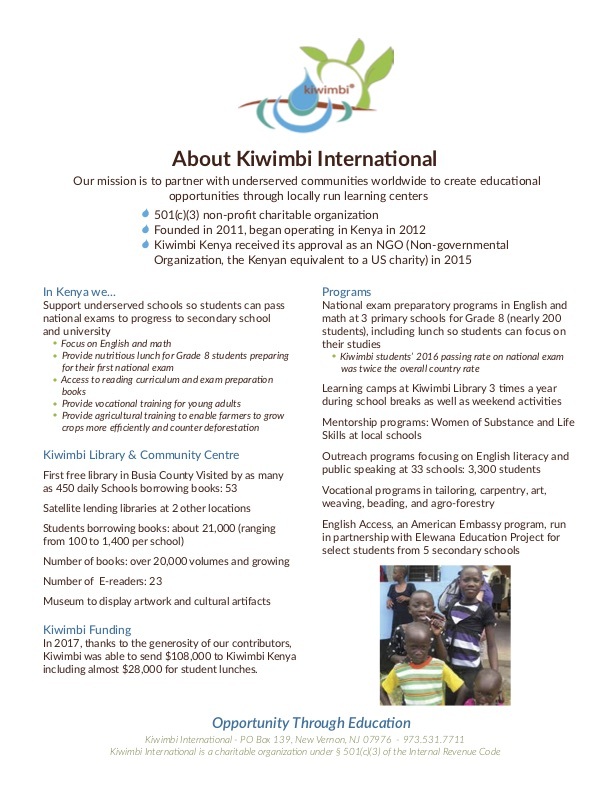 Kiwimbi’s mission is to partner with underserved communities world wide to create educational opportunities through locally run learning centers. We invite you to check out our website (www.Kiwimbi.org), review our latest Annual Report and take a look at some of our Kiwimbi Messenger newsletters for more information, such as how Kiwimbi improves outcomes for students taking national high-stakes exams. 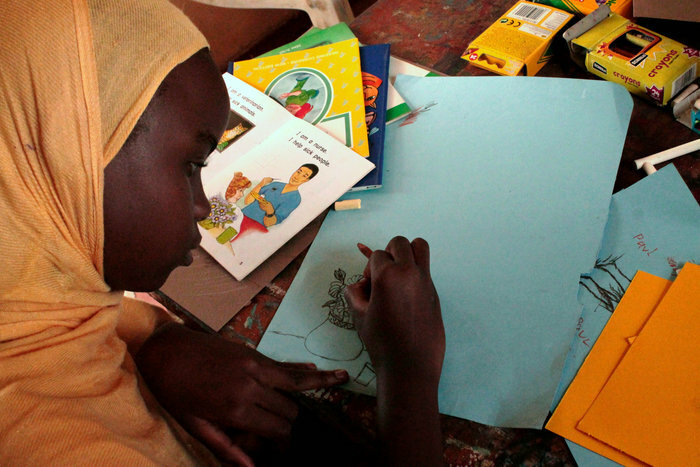 The exam results determine whether or not children progress to secondary school. In 2016, children we supported passed the exam at twice the rate seen nationally and ten times the rate of similar rural schools not receiving our support. • Provides lunch nearly year-round to about 200 Grade 8 students in three local schools. Just as the children of western Kenya rely on Kiwimbi, Kiwimbi relies on generous donors like you to fund our work. 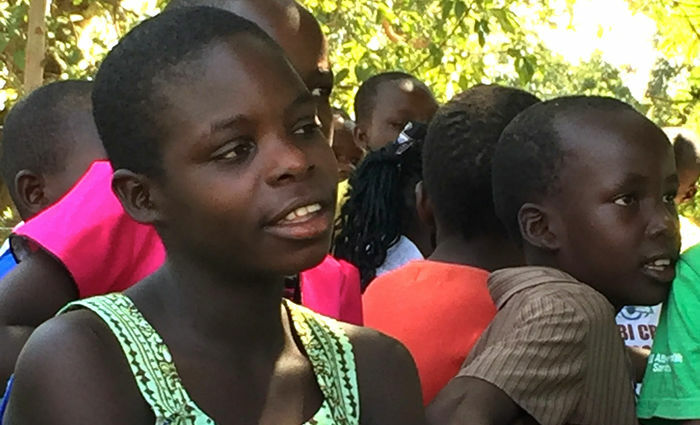 One way that you can support these children is by committing to be a Sponsor. 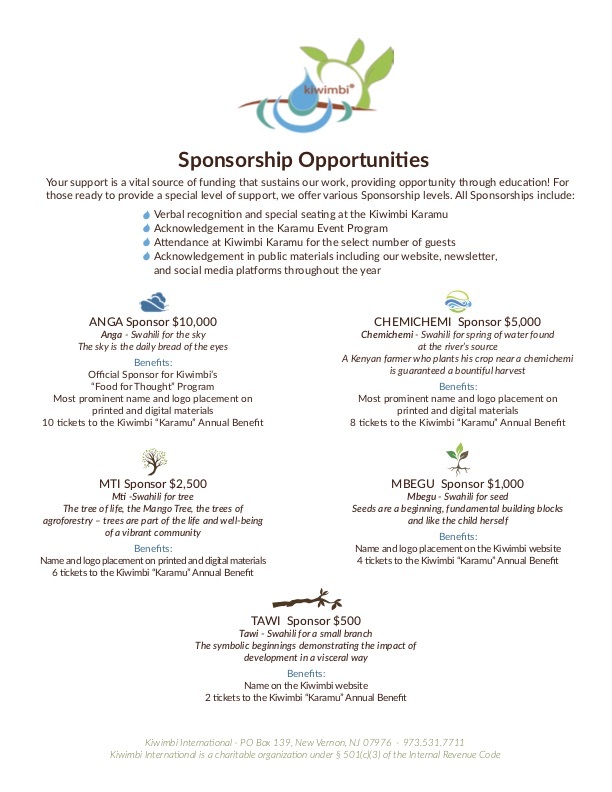 Sponsorship includes various benefits outlined in the attached document, including recognition on our website and at our annual benefit, Kiwimbi Karamu, held on November 03, 2018. 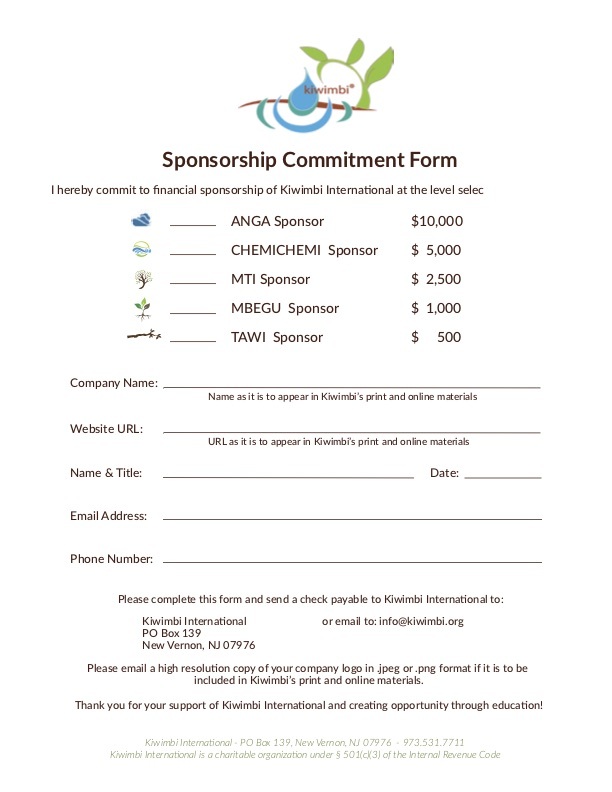 Also enclosed is a Sponsorship Commitment Form making sign-up easy. We invite you to support our vision of a world where all people are empowered through education to enrich their lives and reach their fullest potential. Thank you for your consideration and for your generosity! Because your simple act of kindness can change a life forever!